Something that’s been on my mind a lot these past few years is the issue of climate change and the eventually irreversible destruction humans are bestowing upon the earth. We don’t seem to care if future generations have a planet to live on, and the small percentage of people that care enough to take action on this issue are slowed down by powerful politicians and big corporations. If we don’t act soon, we will reach the point of no return and it will be too late to heal this wound that we have inflicted on the environment, on the animals, and on ourselves. For me personally, I have two main ways that I actively support the environment. By living a vegan lifestyle, my primary goal is to do the least harm possible in this world. By not eating meat or dairy, I avoid contributing to the excessive waste and pollution caused by factory farming and raising livestock. Raising and slaughtering animals for human consumption uses up a ridiculous amount of water, and natural vegetation must be cleared away to grow corn and soy products to feed these animals. Cows emit high amounts of methane gas into the air, and grazing pastures take up space that could instead be used to grow fruits & vegetables that would not only use up significantly less resources, but would yield enough product to help feed starving people around the world. Another way I support the environment is by recycling. I don’t throw away anything that is recyclable. It’s an easy way to do something positive and doesn’t take up much effort or time. However, I’m interested in finding other ways to make better changes in the world. As a student currently pursuing studies in Political Science, I realize that with the right knowledge, experience, and attitude I can make a difference by using the political system. Today I attended a meeting for the Citizens’ Climate Lobby, a non-profit organization that has a plan and policy that can drastically reduce our carbon footprint. What is it? And how can you get involved? Read on and I’ll tell you! As a vegan, sometimes I find myself missing certain foods I enjoyed before I went completely plant-based. Foods like barbecue, pot roast, baked brie, and smoked salmon. These are foods that are difficult to veganize, although vegan barbecue is becoming a big trend. If you live in a vegan friendly city, then the plant-based options are endless. 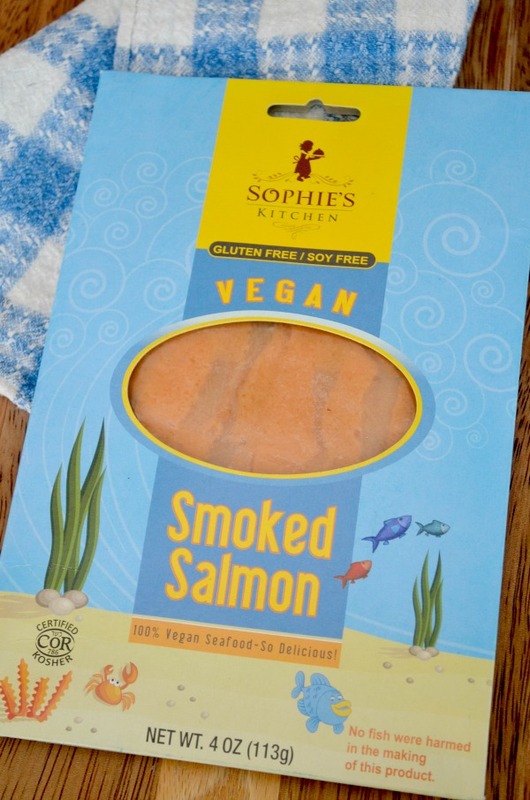 For example, the last time I visited Austin I went to the local grocery store and lo and behold I came across Vegan Smoked Salmon by a company called Sophie’s Kitchen. I snatched the package from the fridge then raced around the store to add vegan cream cheese and gluten free bagels to my shopping cart, plus some red onion and tomato. I knew exactly what I wanted. Lox and bagels! Here’s my review on vegan smoked salmon plus some tips and where you can find vegan seafood products ?? When I found out that Edinburg – the town I live near in South Texas – was going to have a FridaFest, I immediately went into celebratory dance mode ? 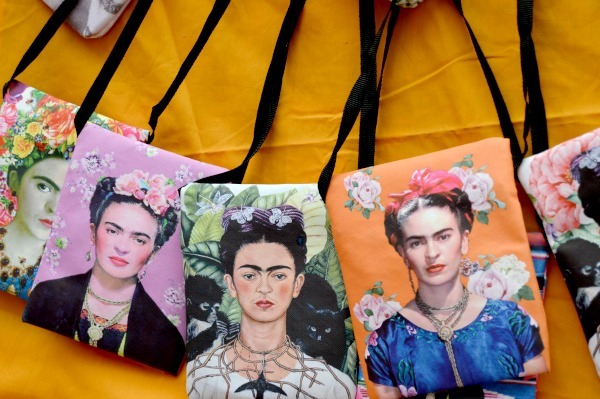 I LOVE Frida Kahlo and I have a feeling that I will end up being a lot like her – living somewhere warm in a bright blue house with lots of animals, an artsy husband, and wearing colorful clothing and woven braids in my hair not caring what anyone thinks. I’m totally okay with that ? Locals artists and vendors in the Rio Grande Valley were out in full force this past Saturday to celebrate the life and work of this very talented and interesting woman. Of course, of the three days a year the Valley actually gets rain, this had to be one of them ☔️ Luckily, it didn’t scare anyone inside and I actually remembered to bring my umbrella for the first time in my life. I basically stepped into my second version of heaven (the first version is me being surrounded by every animal that ever lived ? 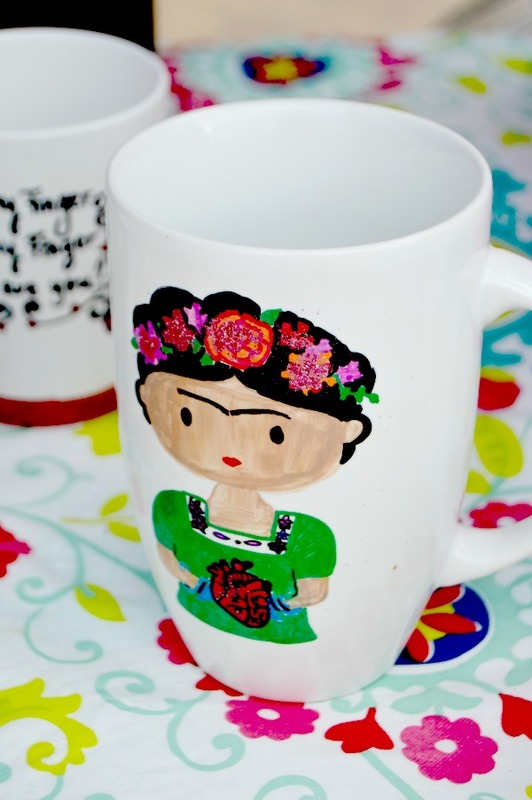 ); everywhere I looked there were colorful items dedicated to Frida. My second favorite thing about FridaFest is that it supported local businesses and artists, and enabled them to share their talents. Here are some of the cool items I came across before the weather prevented me from snapping more photos!